Prime Minister Benjamin Netanyahu has allocated an additional NIS 100 million and ten government positions to the fight against BDS.The Israeli news site ynet reports that Netanyahu held consultations about BDS this weekend with relevant government officials, as well as Minister Gilad Erdan, who is responsible for dealing with BDS in the framework of the Ministry of Strategic Affairs. They discussed ways to enhance coordination amongst the various government ministries involved in the fight against BDS, as well as increasing cooperation with Jewish organisations abroad. Netanyahu agreed with Erdan that at least an additional NIS 100 million will be allocated to the Ministry of Strategic Affairs, almost all of it dedicated to the fight against BDS. He further allocated an additional ten staff positions in the ministry for this purpose. 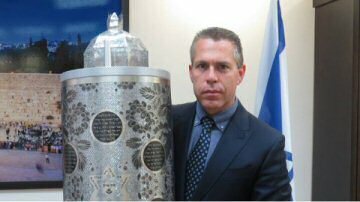 Erdan told Ynet that the fight against BDS must take place on three levels: government offices, the intelligence community and the defence system.